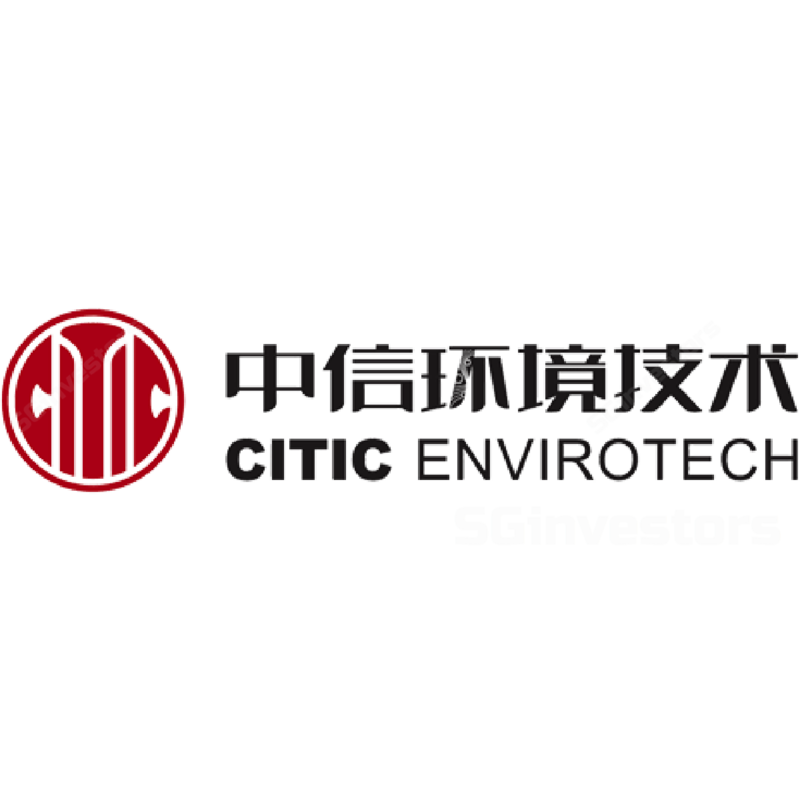 CITIC Envirotech (CEL) announced its latest staggering Rmb4.6b project win, exceeding its S$1b project wins target for the year. As China is placing more emphasis on water quality, enforcement is expected to be strict. With demand for better water standards and membrane technology being the only viable means of achieving this, we believe CEL is well-positioned. We reiterate our confidence in CEL’s ability to meet our forecast and view consensus forecast as conservative. Maintain BUY. Target price: S$1.10. Staggering Rmb4.6b wastewater treatment project win has CEL exceeding S$1b project wins target. CITIC Envirotech (CEL) has announced its latest project win of a staggering Rmb4.6b wastewater treatment facility. Targeted to complete within two years, the project involves upgrading the existing 200,000 cu m/day conventional treatment plant to a membrane plant with double capacity of 400,000 cu m/day as well as freeing up 120,000 sqm of valuable land. With this Rmb4.6b project, CEL’s value of project wins is at S$1.5b, exceeding its earlier target of S$1b in project wins. 19th Congress increases emphasis on water quality with strict enforcement expected. China’s 19th Congress is placing stronger emphasis on water quality and wastewater treatment. With the increasing focus, we understand that the positions of related government officials (up to the provincial head of water services) are closely tied to how well they reach their performance targets (ie their future promotions or even whether they can keep their existing position depends on how well water quality is controlled under their jurisdiction). Higher water standards being demanded. Government standards for wastewater are rising. Municipal wastewater plants near strategic locations (ie near key lakes/reservoirs) are expected to attain the minimal Grade 1A (城镇污水处理厂污染物排放标准 1A 级) which specifics that pollutants cannot exceed certain levels by the end of 2017 while all new municipal wastewaster treatment facilities have to adhere to the Grade 1A standard. Channel checks indicate that the government is discussing a guideline of gradually achieving type IV surface water levels (地表水 IV 类标准, a more stringent standard with type I being the best and type III being drinkable water) across China by 2030. For example, in the Canton province, the government has already set hard targets to achieve surface water levels of type V by 2020, type IV by 2025. Contract win underlines our confidence in CEL’s ability to deliver results. As such, we believe that CEL is extremely well positioned in the current scenario and that the market has misunderstood the situation. The recent project win underlines our belief in CEL’s ability to deliver results. We believe that the street consensus is too conservative on CEL’s ability to win contracts/achieve profits and reiterate our confidence in CEL delivering profit growth and hitting our forecast for 2H17. Membrane technology is the way forward. The maximum grade that conventional wastewater treatment can provide is Grade 1A while reaching certain requirements of Type V. This means the only viable technology available to achieve type IV and above is membrane technology. While there is no short-term pressure to immediately meet type IV and above standards, the question is whether to invest in conventional technology before subsequently upgrading or to simply invest in the membrane technology that can achieve type IV and above standards (along with other advantages such as space saving). Successful issuance of perpetual bond lowers interest and provides evidence of market confidence. The successful issuance of CEL’s 3.9% perpetual bonds of S$240m not only lowers interest costs (CEL has previously issued S$225m of medium-term notes at 4.7% interest with maturity at the end of Apr 18), it is also testament of the market’s confidence in CEL’s business strength. Key risks include a delay in project construction and a weakening renminbi. Maintain BUY and DCF-based target price of S$1.10.